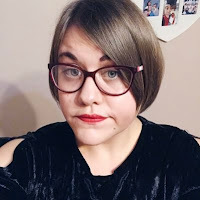 You may know that I love doing tags and quizzes on this blog and I came across this one recently which I thought would be really interesting to do! It's the Bookish Identity tag and basically you have to answer a few questions about a specific bookish universe! I would definitely live in the Harry Potter universe! It was the first fantasy universe that I fell in love with and the idea of being able to study magic in all it's forms fascinates me! I would love to study in Hogwarts castle and explore every inch of it. If we are talking about love interests, it may be a bit shocking but I would go with Caleb Prior from the Divergent Trilogy. I feel that we both have a lot in common and yes, although he did betray Tris, I feel that he redeemed himself in many ways. He is also very smart and I could imagine us to have lots of intellectual conversations. I've only read the first book in the Percy Jackson series, but I think my godly mother would be Athena. She is known, from my knowledge and the goddess of wisdom, the arts, courage and inspiration. Things that I feel like I am known for. I can't really say much else as I would really need to read the other books in the series to know more. I would be a Nephilim! I would enjoy being part angel and protecting mundanes from demons and downworlders. Plus I'd get to hang out at the Institute, have some awesome runes and use some amazing weapons. I would be a Hufflepuff! I have taken several sorting hat quizzes, including the official Pottermore one and I have got Hufflepuff each time. Some people would be upset about being sorted into Hufflepuff, but not me. I'm proud of it. I definitley share some of the traits of Hufflepuff house such as; loyalty, kindness, hard work and dedication. I would relish in being a member of this house and would show my pride each and everyday. 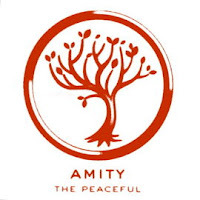 I would be in Amity, also known as the peaceful faction. I'm known as a pacifist and I hate any kind of conflict and when I can I always try to keep the peace. So I feel like I would fit in very well with this faction. They also value kindness, trust and forgiveness. All traits which I think I do have. Feel free to do this tag if you so wish, but make sure to tag me in it so I can check out your answers.